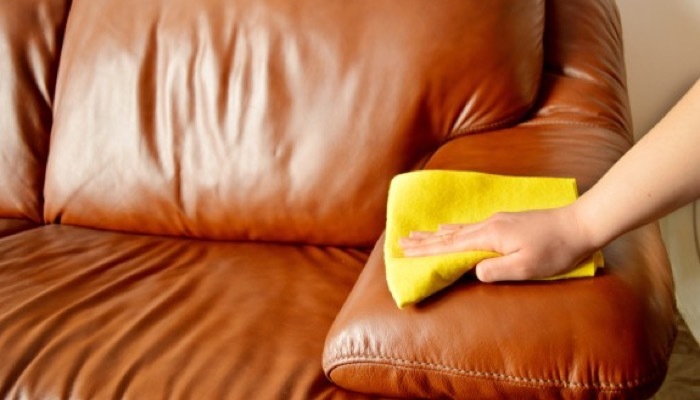 Whether it’s your shoes, belt, bag, or furniture, it’s important to know how to care for and polish leather. The leather is a beautiful material but it can look worn and tattered if you don’t maintain it properly. It requires regular polishing and cleaning so it looks good as new. It can also be expensive given the products that you have to use to keep it shiny. But don’t worry because we will explore other ways to keep your leather in tip-top shape. The leather industry has been around for years. They use different materials like animal skin to produce leather. Over time, laws and regulations have been in place to ensure that no animal abuse is being done to manufacture leather. 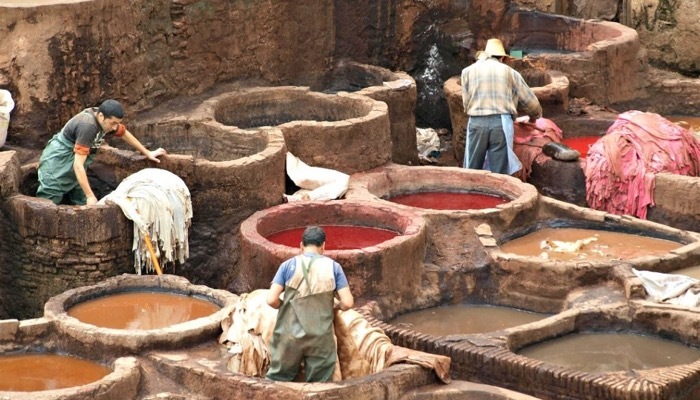 Here are some helpful information in the leather production process. PETA or the People for Ethical Treatment of Animals is one of the major players that regulate the leather industry and here are some insights on the global leather trade that will help educate you on the ethical practices of producing leather. For other furniture materials like wood, here is a guide to the best furniture polish. And if you are bothered by scratches on your glass windows or tables, here is how to remove scratches from glass. Leather needs care, not only polishing and before we look at different ways to polish leather, let us first make sure that you know how to properly care for your leather. You might not think much of it, but just like your skin, leather needs to breathe. This will prevent it from getting mildew and from rotting. Naturally, air can pass through leather so that it leaves moisture to evaporate naturally. If your leather is sealed up, it won’t be able to breathe so never store it in a plastic bag – for small leather items. Use some type of breathable fabric when storing leather and it will be easier to polish leather. Another thing you need to remember when caring for your leather is to keep it away from direct sunlight or heat. 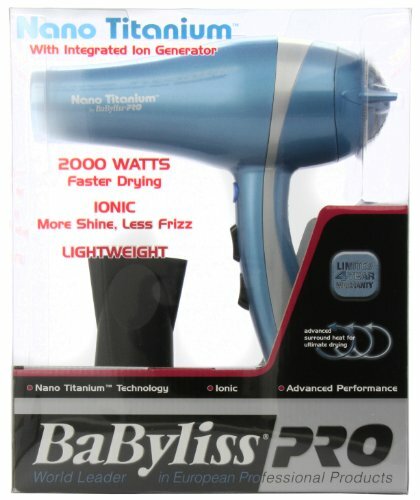 In case it gets wet, you might think it’s a good idea to expose it in front of a heater or use a hair dryer to dry it up. But it’s not. When leather gets wet and heated right away, it can shrink and dry out. Let it dry naturally instead even if it takes longer. You might also want to keep your leather away from direct sunlight. It fades over time but sunlight makes it fade faster. It can also dry and crack up. It’s best to store it in darker places with some humidity but ensure that there is enough air flow. We will look at how to polish leather but it is important to know what not to do when polishing. Remember to test a small area first before applying a massive amount of polish. Some polish may change the color of your leather and stick to neutral colors. 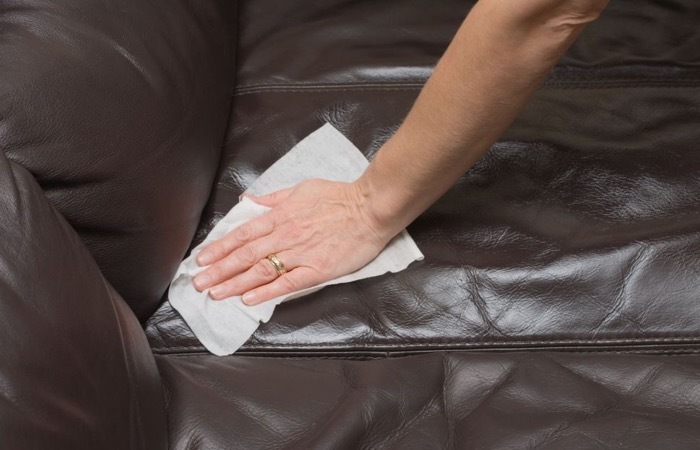 You need to regularly clean and polish leather to keep it from aging prematurely. Give it a regular wiping down with a clean damp cloth. 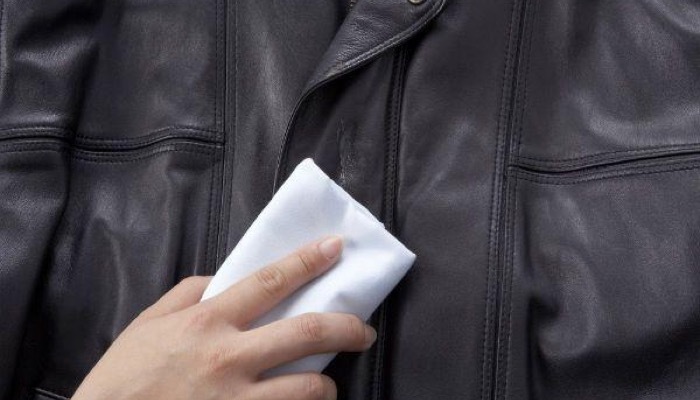 Whether it’s a jacket, shoes, or a bag, leather accumulates dirt so preserve your leather by wiping them down weekly. There are two types of leather treatments. There is leather polish and cream or conditioner. Polish is mainly for beautification and cream moisturizes the leather so it doesn’t dry out. One way to polish leather is by making some vinegar solution to clean it up before polishing. 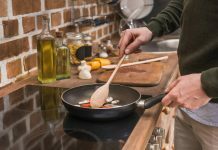 Mix one part white vinegar with two parts olive oil. You can also use vodka and distilled vinegar instead. Shake the mixture to combine your ingredients. Especially for shoes, clean your leather before you polish leather. Rub it with a dry cloth to remove any loose surface dirt. Then apply your vinegar solution with a cloth and gently buff it onto the leather. 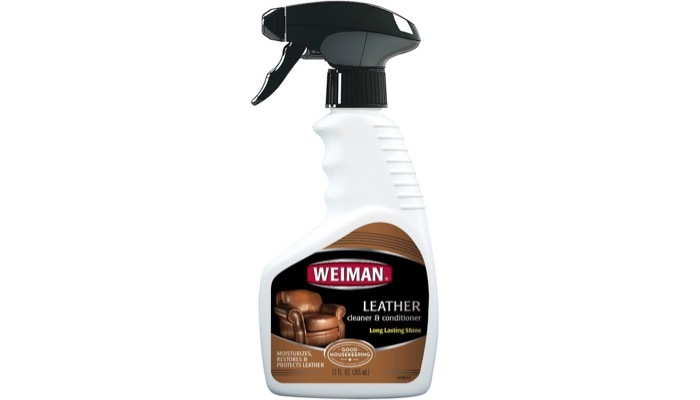 For heavy stains, let it sit on the leather overnight. Buff the surface after it dries. You can apply lemon juice or vinegar directly to any remaining stains if they are not removed. This is an extra step to polish leather but you need to be careful because water can stiffen leather. For extra polishing, you can clean the greasy stains with baby shampoo and warm water. You can give extra shine to your leather when you polish leather by rubbing olive oil or linseed oil onto the surface with a clean cloth. You can also use petroleum jelly. Natural oils like olive and linseed oil work best for leathers with a natural finish. Petroleum jelly is great for patent leather. 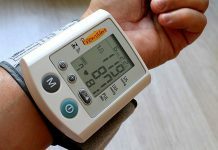 It can also protect it from cracking during winter. You need to do a final polish or buffing after you polish leather, after letting it rest for several hours. 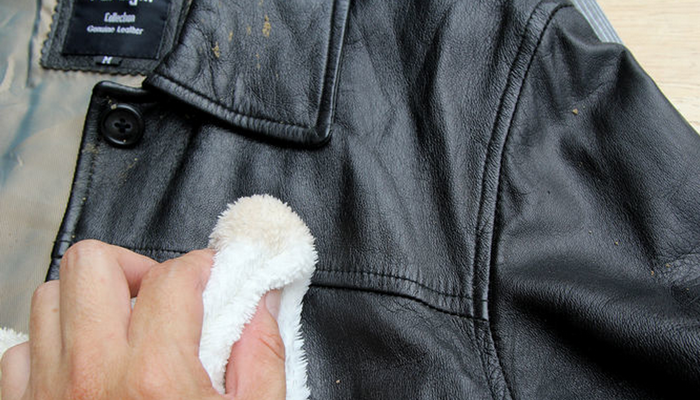 Buff the leather again with a clean dry cloth or rag to make it extra shiny. If you want readily available products to care for and polish leather, here are some that you can easily buy. Here is one that can restore, polish and protect all smooth finished leathers. It’s a cleaner and conditioner in one. If you want a more natural alternative, here is a treatment that will last six months or longer. 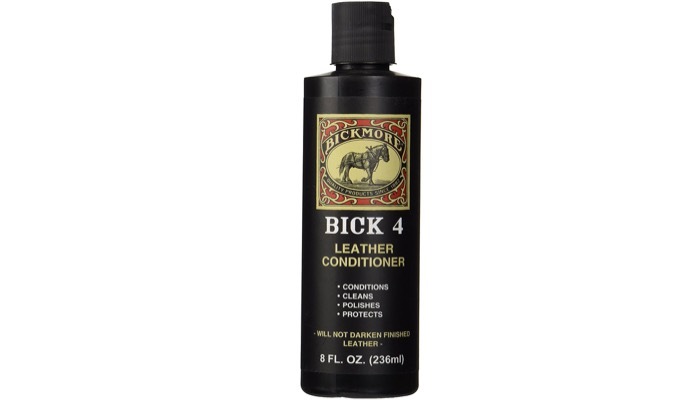 It deeply penetrates into your leather’s pores to protect new leather, polish leather and rejuvenate old leather. This one can clean, condition, restore and polish leather as well as vinyl surfaces. It has a pH neutral formula that contains six natural cleaners and conditioners. 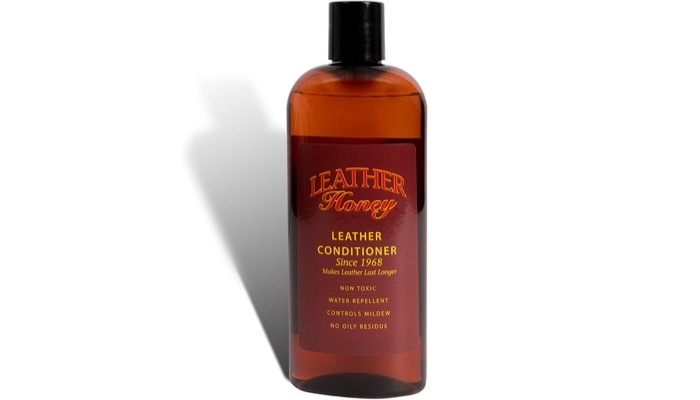 They help clean, moisturize and protect your leather, to restore the natural suppleness and sheen. For more maintenance and not just to polish leather, you also need to waterproof it at least once a year. There are waterproofing sprays and waxes that you can use which will provide a coating to your leather to protect it from water, snow, etc.